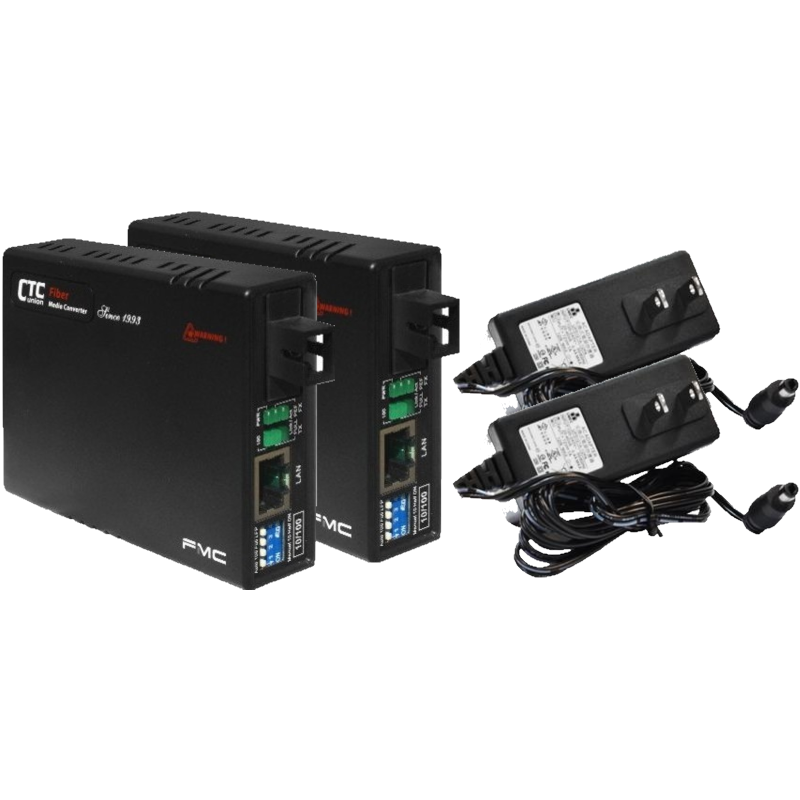 FMC-10-100 series is a cost effective family of Fast Ethernet fiber optic media converters. The FMC media converters are noticed for their simplicity: no management features, guaranteed reliability and extremely affordable cost. Note: Units use an SC type fiber optic connector. 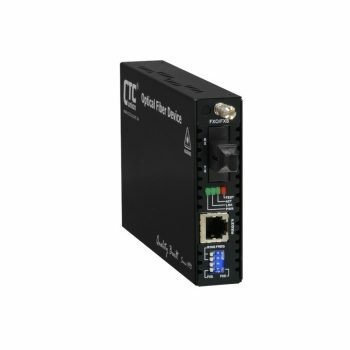 The FMC-10-100-SC02A / SC02B s a hard to find BiDirectional single strand multi-mode(850/1310nm) fiber media converter set equipped with a single SC type optical connector, auto-negotiation 10/100 and MDI/MDI-X features for the Fast Ethernet RJ45 UTP interface. 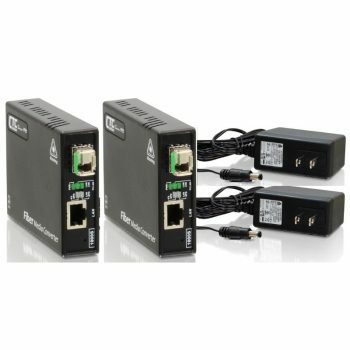 Even without the SNMP management support, FMC series support Link-Fault-Pass through function (LFP – an extremely useful feature to easily debug faulty fiber links), Far-End-Fault function (FEF), acts on a Store-and-Forward switching platform and can carry Jumbo data packets up to 9K size. 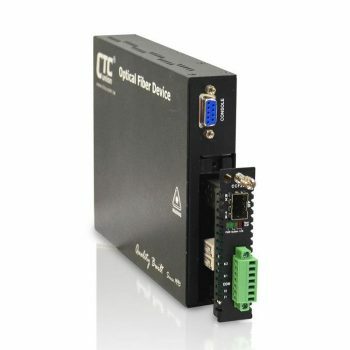 These extra functions and speed and flow selections can be made through the available DIP switches on the front panel of the media converter. Being a single strand converter, the FMC-10-100-SC02A must be paired with the FMC-10-100-SC02B counterpart to obtain a viable fiber link. Models use two wavelengths of 1550 and 1310nm to coexist on same single strand of fiber and they act complementary: A model has Tx:1310nm/Rx:1550nm while B model has Tx:1550nm/Rx:1310nm.